For the law was given through Moses; grace and truth came through Jesus Christ (John 1:17). What’s the big deal about the birth of Jesus? It’s a big deal because Jesus was none other than God in human flesh! “The Word [i.e., Jesus] was God” (John 1:1). “And the Word became flesh and dwelt among us” (v. 14). The firstborn son of Mary was none other than God in human flesh! The baby that the shepherds found lying in a manger was none other than God in human flesh! The LORD descended in the cloud and stood with [Moses] there, and proclaimed the name of the LORD. The LORD passed before him and proclaimed, “The LORD, the LORD, a God merciful and gracious, slow to anger, and abounding in steadfast love and faithfulness” (Exod. 34:5-6). In the original Hebrew, “LORD” is Yahweh. Yahweh is God’s name. (God’s name isn’t God, just like my name isn’t man.) When God proclaims to Moses his name, he tells Moses who he is—not what he is, but who he is (i.e., his “goodness”). Yahweh is a God who abounds in steadfast love and faithfulness. “Steadfast love” is unwavering or loyal love. “Faithfulness” means to be true to one’s word, reliable. “O LORD, is not this what I said when I was yet in my country? That is why I made haste to flee to Tarshish; for I knew that you are a gracious God and merciful, slow to anger and abounding in steadfast love, and relenting from disaster” (v. 2). “You pity the plant, for which you did not labor, nor did you make it grow, which came into being in a night and perished in a night. And should not I pity Nineveh, that great city, in which are more than 120,000 persons…” (vv. 10-11). Thankfully God isn’t like Jonah! Thankfully he abounds in steadfast love and faithfulness! He cares about people. Do we? What did John mean when he said that “grace and truth came through Jesus Christ” (v. 17)? “Grace and truth” are John’s way of saying “steadfast love and faithfulness.” D. A. Carson writes, “This pair of expressions [‘steadfast love and faithfulness’] recurs again and again in the Old Testament. The two words that John uses, ‘full of grace and truth,’ are his ways of summing up the same ideas” (The Gospel According to John, 129). Through the Word (i.e., Jesus) God spoke to Israel (and to us). He proclaimed to us that he is a God of steadfast love and faithfulness, grace and truth. Israel’s Messiah had been born! God still loved them! He kept his promise! Who you are (i.e., your character) affects what you do. God did what he did because he is who he is. Jesus came to us because God is a God who has a heart full of steadfast love and faithfulness. Jesus is the Father’s “only [i.e., beloved] Son” (v. 14). We have broken the law that was given through Moses (v. 17), but “God so loved the world [i.e., us], that he gave his only Son, that whoever believes in him should not perish but have eternal life” (3:16). In the cross we see mankind’s hatred for God and God’s love for mankind. What’s the big deal about the birth of Jesus? It’s a big deal because Jesus was none other than God in human flesh! The baby lying in the manger was none other than God in human flesh! In John 1:1-18, Jesus is called “the Word.” Why? As we can tell others who we are by our words, God has told us who he is by the Word, Jesus—God in human flesh. John writes, “We have seen his glory.” “Glory” in this context means brightness, splendour, or greatness. “Glory” is used this way when it’s said, “Let’s plug the lights in and see the Christmas tree in all its glory.” John wants us to think of the experiences of the Moses and the Israelites in the wilderness (found in the book of Exodus). On Mount Sinai, Moses said to God, “Please show me your glory” (Exod. 33:18). It was God’s plan for his glorious presence to dwell with his people. God told Moses, “Let them make me a sanctuary [i.e., the tabernacle], that I may dwell in their midst” (Exod. 25:8).” After the tabernacle was made, “The glory of the LORD filled the tabernacle” (Exod. 40:34). As God dwelt with the Israelites in the wilderness, John says that the Word “dwelt (skenoo) among us.” A more literal translation skenoo is “pitched his tent” or “tabernacled.” As the Israelites saw the glory of God when God dwelt among them, John and the other apostles saw the glory of God when Jesus dwelt among them. “We have seen his glory.” How did they see the glory of God? Jesus once said, “The hour has come for the Son of Man to be glorified” (John 12:23). How would he be glorified? Jesus also said, “And I, when I am lifted up from the earth, will draw all people [i.e., all kinds of people] to myself” (John 12:32). John adds, “He said this to show by what kind of death he was going to die” (v. 33). When Jesus was crucified, he was literally “lifted up.” Another meaning of “lifted up” is “glorified.” Hundreds of years earlier, the prophet Isaiah foretold that the servant of the Lord (i.e., Jesus) would be “lifted up”: “Behold, my servant shall act wisely; he shall be high and lifted up, and shall be exalted” (Isa. 52:13). The next verse says, “His appearance was so marred, beyond human semblance, and his form beyond that of the children of mankind” (v. 14). The cross displays for us the glory of God. How? When you go to a funeral for a person who was greatly admired, do you hear much talk about the dead person’s beauty? No. Usually the characteristics that are most praised are the person’s humility, generosity, kindness, and sacrificial love. Those are the characteristics that we see when we look at the cross (if we believe that Jesus is God in human flesh). That’s how we see the glory of God in the cross. That’s how John saw the glory of God in Jesus. Do They See the Glory of God in Us? Do our lives bring glory to God? “Your body is a temple of the Holy Spirit within you” (1 Cor. 6:19). “So glorify God in your body” (v. 20) How can our lives bring glory to God? Be like Jesus. In the beginning was the Word, and the Word was with God, and the Word was God…. And the Word became flesh and dwelt among us (John 1:1, 14a). Most people know that Christmas is a celebration of the birth of Jesus. But who was Jesus? There isn’t a more important question than this one. How often do we stop to think about the identity of the baby in the manger? The Gospel of John begins with an amazing claim about Jesus: Jesus was none other than God in human flesh! The baby in the manger was none other than God in human flesh! “The Word” is Jesus. In verses 1 and 14, John says five things about Jesus. Jesus “was in the beginning.” The Gospel of John begins at the beginning. Before the uni-verse existed, Jesus existed. Jesus “was with God.” This means that Jesus enjoyed a relationship with God. Jesus “was God.” He is not a god; he is God. How can Jesus be with God and also be God? Though there is only one God, God exists as three distinct persons: Father, Son, and Holy Spirit. Jesus is God (the Son), and was “with” the Father and the Spirit. Jesus “became flesh.” Jesus was not always human. He became human when we was miraculously conceived in the womb of the virgin Mary. 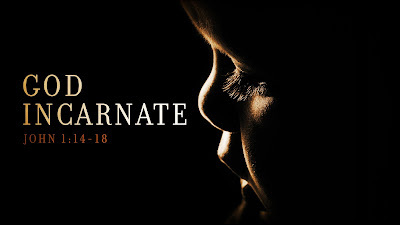 Jesus in God incarnate (i.e., God in human flesh). Jesus “dwelt among us.” Joseph was told that Mary’s baby boy would be called Immanuel, which means, “God with us” (Matt. 1:23). [The older son] answered his father, “Look, these many years I have served you, and I never disobeyed your command, yet you never gave me a young goat, that I might celebrate with my friends” (v. 29). Question: Should we always want to get what we deserve? In Luke 15, Jesus tells three parables: the parable of the lost sheep, the parable of the lost coin, and the parable of the lost son. In each parable, there is great joy when what was lost is found (vv. 6, 9, 22-24). In the first two parables, everyone celebrates when what was lost is found. But the third parable is different. Not everyone is happy. The older son is angry (v. 28). He’s thinking, “My brother doesn’t deserve this! I deserve this!” (vv. 29-30). The older son is like the Pharisees and scribes (i.e., religious leaders) who had grumbled about Jesus eating with tax collectors and sinners (vv. 1-2). The parables in Luke 15 were meant to teach the Pharisees and scribes that there is always great joy in heaven when one lost person (i.e., someone who needs reconciliation with God) repents of his or her sin. (There always needs to be repentance before reconciliation can occur.) God celebrates—throws a party in heaven—whenever one sinner repents (vv. 7, 10). Both sons were lost. Both sons didn’t love their father. Both sons needed reconciliation. There are two ways to be lost. You can be lost be being bad (like the younger son), and you can be lost by being good (like the older son). Jesus says, “There will be more joy in heaven over one sinner who repents than over ninety-nine righteous persons who need no repentance” (v. 7). Jesus is speaking ironically. When he says, “Righteous persons who need no repentance,” he means, “People who think they are righteous and think they have no need to repent.” People like the older son (and the Pharisees and scribes) think they have no need to repent. Where do we find people like the older son? In churches. There is no delight in their religion, only duty. Where does the delight (i.e., joy) come from? It comes from an appreciation for God’s grace. By saying, “My brother doesn’t deserve this!”, the older brother reveals that he doesn’t value grace. Imagine standing before the cross. What would you be thinking? “He doesn’t deserve this!” Jesus didn’t deserve that! But he chose to endure that. Why? So that you and I could be treated in a way we don’t deserve. Jesus chose the suffering of the cross so that our sins could be forgiven. We aren’t forgiven because of what we’ve done to atone for our sins. We’re forgiven because of what Jesus has done to atone for our sins. That’s grace. When I understand God’s grace, I say, “I don’t deserve this!” Should we always want to get what we deserve? No, it’s a mistake to demand that we should always get what we deserve. God’s justice demands that there should be punishment for my sin; God’s grace gave Jesus to die in my place on the cross. “The wages of sin is death, but the free gift of God is eternal life in Christ Jesus our Lord” (Rom. 6:23). In the Gospels, Jesus tells many stories. One of his most popular stories is the story of the Prodigal Son. 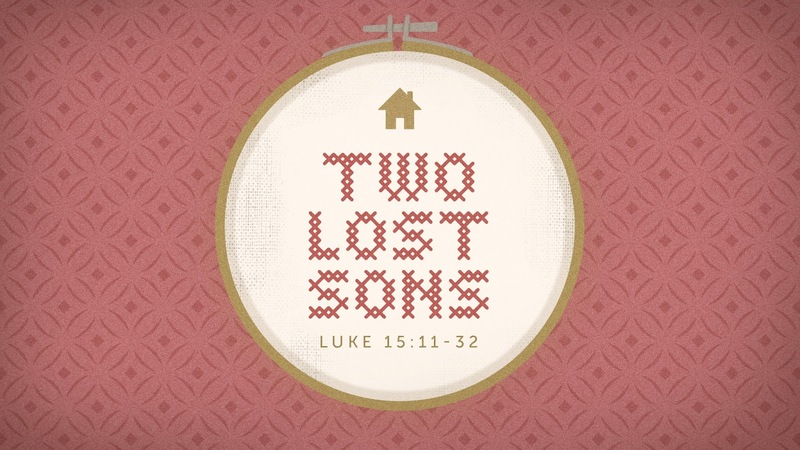 The title is a bit misleading because it’s not a story about just one son; it’s a story about two sons. And it’s also a story about a father whose heart is full of love for his sons. In the story, the younger son is a rebellious son who leaves home and breaks his father’s heart. The older son remains home and appears to be the good son, but he also breaks his father’s heart. Why did Jesus tell this story? To answer this question, we need to go back to the first three verses of Luke 15. The story was told to the Pharisees and scribes—religious leaders. The Pharisees and scribes had “grumbled” because the tax collectors and sinners were “drawing near” to Jesus, and he was welcoming them—even eating with them. The tax collectors and sinners were non-religious people. They were like the younger brother. The Pharisees and scribes were self-righteous people. They were like the older brother who angrily complained when his father—who represents God—had welcomed back the rebellious son. Second, some people who think they’re on the “inside” are actually on the “outside.” On a different occasion, Jesus said to some other religious leaders, “The tax collectors and the prostitutes go into the kingdom of God before you” (Matt. 21:31). The religious leaders thought they were on the “inside,” but they were actually on the “outside.” When the story ends, it’s the younger son who’s inside the father’s house, not the older son (v. 28). Both sons are invited into the feast, but only the younger son enters. The older son’s pride keeps him out. “Good” people don’t go to heaven. Only repentant sinners go to heaven. The word “prodigal” does not mean “wayward” but, according to Merriam-Webster’s Collegiate Dictionary, “recklessly spendthrift.” It means to spend until you have nothing left. This terms is therefore as appropriate for describing the father in the story as his younger son. The father’s welcome to the repentant son was literally reckless, because he refused to “reckon” or count his sin against him or demand payment. This response offended the elder brother and most likely the local community. How did God the Father make reconciliation possible through Christ? Second Corinthians 5 goes on to day, “For our sake [God] made [Jesus] to be sin who knew no sin, so that in him we might become the righteousness of God” (2 Cor. 5:21). God sent his own Son into a “far country” to die so that we could be reconciled to him. God was willing to endure the sorrow of losing his own Son so that he could know the joy of welcoming us back home. Many churchgoers are like the older brother—like the Pharisees and scribes. They see themselves as better than other people, more deserving of a place in God’s family. We are to be like the father—like God. We are to have compassionate hearts. The stories of Jesus are called “parables.” A parable is a fictional story told to teach a truth. Jesus told three parables: the parable of the lost sheep, the parable of the lost coin, and the parable of the lost son. In each parable, something is lost. And in each parable, there is joy when what was lost is finally found. Timothy Keller, The Prodigal God, 74. “Pay careful attention to yourselves and to all the flock, in which the Holy Spirit has made you overseers, to care for the church of God, which he obtained with his own blood” (20:28). What should matter most to a church? So I exhort the elders among you…: shepherd the flock of God that is among you, exercising oversight, not under compulsion, but willingly, as God would have you; not for shameful gain, but eagerly; not domineering over those in your charge, but being examples to the flock. And when the Chief Shepherd appears, you will receive the unfading crown of glory (vv. 1-4). The thing that should matter most to the church is the gospel. Why? There is nothing people need more than the gospel. Paul describes the gospel as “the gospel of the grace of God” (v. 24). Since we are saved by grace, God deserves all the glory for our salvation. The gospel tells us that we matter to God. Jesus “obtained [the church of God] with his own blood” (v. 28). People accept the gospel (and are saved) by repenting (i.e., turning from sin) and believing (i.e., turning to Jesus): “repentance toward God and faith in our Lord Jesus Christ” (v. 21). Repentance and faith are two sides of the same coin. Since there is nothing people need more than the gospel, we must do two things. First, we must proclaim the gospel. Paul says, “I am innocent of the blood of all, for I did not shrink from declaring to you the whole counsel of God” (vv. 26-27). Why would we “shrink” from declaring “the whole counsel of God”? Because parts of it offend people. They don’t want to hear the reason why they need the gospel: they are sinners who deserve condemnation, not salvation. Second, we must preserve the gospel. Paul warns them, “After my departure fierce wolves will coming in among you, not sparing the flock; and from among your own selves will arise men speaking twisted things, to draw away disciples after them” (vv. 29-30). “Be alert” (v. 31), Paul says. People who want to draw a church away from the gospel could come from outside the church (v. 29) or inside the church (v. 30). What Are We if We Don't Have the Gospel? As we saw in verse 28, one of the responsibilities of church elders is to provide pastoral care. When we think of pastoral care, what do we normally thing of? The best way to care for the flock is to make sure the church doesn’t lose the gospel because all of the comfort and encouragement we have to share is based on the gospel. What is a church if it doesn’t have the gospel? It’s merely a charity that does good deeds. But the gospel changes lives. There is nothing people need more than the gospel, so we must (1) proclaim it and (2) preserve it. To “care” for the church means to “shepherd” the church, which is called “the flock” (v. 28; 1 Peter 5:2). In the New Testament, elder, pastor, and overseer are three titles for the same office. [The jailor] put [Paul and Silas] into the inner prison and fastened their feet in the stocks.... Then he brought them out and said, “Sirs, what must I do to be saved?” (Acts 16:24, 30). I’m someone who likes to make a detailed list of everything I’d like to accomplish each day. But often our days don’t go according to plan. That was the case with Paul and Silas. I’m sure they didn’t plan to be beaten and imprisoned when they went to Philippi. But they probably also didn’t expect that the jailer of the prison would be saved. Sometimes an unexpected turn of events—even a very bad turn of events—can lead to a great opportunity to share the gospel. Paul and Silas are “forbidden by the Holy Spirit to speak the word [i.e., the gospel] in Asia” (v. 6). Then when they try to go to Bithynia, “the Spirit of Jesus [doesn’t] allow them” (v. 7). Later, Paul has a vision in which a man says, “Come over to Macedonia and help us” (v. 9). Paul and Silas interpret the vision to mean that God wants them to take the gospel to Macedonia (v. 10). They were willing to change course when they sensed that God wanted them to go in a different direction. They had made travel plans, but God had a different plan for them. Sometimes we sense God’s leading and decide to change course. Other times circumstances force us to change course. Whenever God changes our course—when he takes us in a different direction—it could because he wants to use us to lead someone to faith in Jesus. Paul and Silas have some initial success in Philippi. A woman named Lydia is saved and baptized (“the Lord opened her heart,” v. 14). But after that, things go bad. Paul is repeatedly harassed by a slave girl who is possessed by a demonic spirit. Eventually, Paul becomes “greatly annoyed” (v. 18) and casts the demonic spirit out of the girl. This angers the girl’s owners because the girl had made them lots of money from fortune-telling. They drag Paul and Silas to the authorities who order Paul and Silas to be beaten with rods and thrown into prison. How would you have reacted to this turn of events? It would be natural to doubt God’s wisdom: “Why did God want me to come to this city?” Sometimes an unexpected turn of events in our lives can be an annoying setback (e.g., a flat tire) or a serious problem (e.g., cancer). We often react to a bad turn of events by complaining or being discouraged. Amazingly, that night in prison Paul and Silas prayed and sang hymns to God—not usual activities for people who had been beaten with rods and thrown into prison! And we’re told that “the prisoners were listening to them” (v. 25). Our reaction to a bad turn of events can open a door—or close a door—to an opportunity to share the gospel. Or maybe our reaction to a problem could make such an impact on someone that we become a link in a chain of events that leads them to one day being saved. Paul and Silas’s imprisonment didn’t stop the spread of the gospel. Actually, their imprisonment helped spread the gospel! There’s an earthquake that night. It causes the doors of the prison to open. But the prisoners don’t run away. Instead of seeing the earthquake as an opportunity to escape, Paul and Silas saw it as an opportunity to witness. The jailer, though, thinks all the prisoners have escaped. This would mean that the jailer is in big trouble. So he decides to kills himself. But just as he’s about to end his life, Paul cries out to him, “Do not harm yourself, for we are all here” (v. 28). The jailer can’t believe it. Paul and Silas’s reaction to their problems showed the jailer that they were different. Are we any different because of the gospel? The jailer asks, “Sirs, what must I do to be saved?” (v. 30). They answer, “Believe in the Lord Jesus, and you will be saved, you and your household” (v. 31). So this week when you experience a bad turn of events, think about how it might open a door to an opportunity for you to be a witness. We can be a witness by how we react to a bad situation or maybe even be able to speak about the gospel. Does God Really Need Me to Be a Witness? And when the Gentiles heard this, they began rejoicing and glorifying the word of the Lord, and as many as were appointed to eternal life believed (Acts 13:48). Acts 13:48 says, “As many as were appointed to eternal life believed.” Jesus told the apostles, “You will be my witnesses in Jerusalem and in all Judea and Samaria, and to the end of the earth” (1:8). But if God has already “appointed to eternal life” those who will believe, do we really need to be witnesses? In Acts 10, God reveals to Peter that the gospel is not just for the Jews; it’s for the Gentiles too. The gospel is for everyone! In Acts 9, when Saul is converted, God says, “He is a chosen instrument of mine to carry my name before the Gentiles” (9:15). In Acts 13, that’s what Saul does. After the Jews in one particular city reject the gospel, Saul announces, “We are turning to the Gentiles” (13:46). Saul quotes Isaiah 49:6: “I have made you  a light for the Gentiles, that you may bring salvation to the ends of the earth” (13:47). It was God’s plan to bring salvation to the Gentiles. “When the Gentiles heard this, they began rejoicing and glorifying the word of the Lord, and as many as were appointed to eternal life believed” (13:48). In 13:48 we see two biblical doctrines that appear to be incompatible: divine sovereignty (“appointed”) and human responsibility (“believed”). Some people might read this verse and conclude, “If God appoints people to eternal life, I don’t really need to bother to be a witness. They’ll end up believing somehow in the end.” The apostles believed in divine sovereignty, but that belief didn’t lead them to conclude that it wasn’t necessary for them to be witnesses. They risked their lives to spread the gospel “to the ends of the earth.” If we think that 13:48 gives us a reason not to be a witness, then we are disregarding what the book of Acts is all about! When it comes to being a witness (i.e., sharing the gospel), we must avoid two extreme views. First, we must not think, “I have to do nothing.” This view puts all the emphasis on divine sovereignty and waters down human responsibility. Second, we must not think, “I have to do everything.” This view puts all the emphasis on human responsibility and waters down divine sovereignty. In 13:49 we read that “the word of the Lord was spreading throughout the whole region.” The people who were spreading the gospel were the Gentiles who believed. “Converts are meant to be evangelists.”  God doesn’t need us to be witnesses, but he has appointed us to be witnesses. Don’t think, “I wonder if God has appointed that person to eternal life.” Instead, think, “God has promised that “everyone who calls on the name of the Lord will be saved” (Rom. 10:12). Who is in your life that needs to be saved? Pray for that person, and look for opportunities to share the gospel. Application: we have been called to be witnesses to our children. Actively pursue their salvation. “You” is the servant of Lord. “A careful reading of the four servant songs has…led many scholars to argue that the servant refers to an individual who fulfills in himself all that Israel was meant to be” (H. M. Wolf, “Servant of the Lord,” Evangelical Dictionary of Biblical Theology, 726. This individual is Jesus. I. H. Marshall, Acts: An Introduction and Commentary, 245. But I received mercy for this reason, that in me, as the foremost [of sinners], Jesus Christ might display his perfect patience as an example to those who were to believe in him for eternal life (1 Tim. 1:16). Do you know someone whose conversion to faith in Jesus appears to be a lost cause? Maybe that person is a husband or wife, a son or a daughter, or a good friend. It seems like they will never accept the gospel. Maybe you think that you’re that kind of person—that there’s nothing that could happen that would ever cause you to give your life to Jesus. The book of Acts tells the story of a person just like that. His conversion appeared to be a lost cause. He was the last person anyone expected to become a follower of Jesus. Yet by the grace of God that’s exactly what happened. Saul (also known as Paul) was someone who hated the gospel. He desperately wanted to stop the spread of the gospel—so much so that he became a persecutor of the church. He was present at the stoning of Stephen (Acts 7:58) and “approved of his execution” (Acts 8:1). And he “was ravaging [i.e., destroying] the church” (Acts 8:3). “Entering house after house, he dragged off men and women and committed them to prison” (Acts 8:3). In Acts 9, Saul is traveling to Damascus to arrest followers of Jesus. But on his way to Damascus, he meets Jesus and is converted. In Saul’s retelling of the story of his conversion in Acts 26, Jesus says to Saul, “It is hard for you to kick against the goads” (Acts 26:14). A goad was a sharp stick used to prod oxen (i.e., to get them moving in the right direction). Saul had been resisting the gospel (like an stubborn ox kicking against the goads ). But God can save anyone—even a person who appears to be incredibly resistant to the gospel. Saul the persecutor—this lost cause—became an apostle. The one who had once wanted to destroy the church ended up doing more to spread the gospel than perhaps any other person in history. In 1 Timothy 1, Saul describes himself as the “foremost” (i.e., worst) of sinners: “Christ Jesus came into the world to save sinners, of whom I am the foremost” (1 Tim. 1:15). Saul understood that he had been saved by grace (i.e., undeserved kindness) alone. He felt like he was the person most unworthy to be saved. He says that “the grace of our Lord overflowed for me” (1 Tim. 1:14). Everyone—not just people like Saul—needs to be saved by grace. Can you identify with Saul when he said, “I am the foremost [of sinners]”? Perhaps he was a worse sinner than you and me, but we should all sense our sinfulness and our unworthiness to be saved. Why did Saul go on to do so much for God? I am the least of the apostles, unworthy to be called an apostle, because I persecuted the church of God. But by the grace of God I am what I am, and his grace toward me was not in vain. On the contrary, I worked harder than any of them, though it was not I, but the grace of God that is with me (vv. 9-10). Jesus once said, “He who is forgiven little, loves little” (Luke 7:47). We could also say, “He who is forgiven much, loves much.” Saul was willing to do much for God because he knew he had been forgiven much by God. Do you profess to be a Christian but lack the willingness to do much for God? Maybe it’s because you don’t see yourself as being forgiven much by God. Why Did God Save Saul? Why did God save Saul? Saul says, “I received mercy for this reason, that in me, as the foremost, Jesus Christ might display his perfect patience as an example to those who were to believe in him for eternal life” (1 Tim. 1:16). No one is beyond the grace of God. So don’t give up on that person you think might be a lost cause. Don’t stop praying. They might be “kicking against the goads,” but the Holy Spirit can work in that person’s life to bring about change. And don’t stop looking for opportunities to share the gospel. Maybe you’re someone who has been resistant to the gospel. You’re not a lost cause. Jesus said, “Whoever comes to me I will never cast out” (John 6:37). No matter what we’ve done in the past, Jesus will accept us. Then they left the presence of the council, rejoicing that they were counted worthy to suffer dishonor for the name (v. 41). One popular Thanksgiving tradition is to ask people what they’re thankful for. You might do this before your Thanksgiving dinner. Each person around the table takes a turn saying what he or she is thankful for. We expect to hear people say they’re thankful for blessings such as family, health, freedom, and salvation (if the person is a Christian). We probably don’t expect to hear someone say they’re thankful for suffering. But that’s what the apostles did in Acts 5. The apostles had been arrested for sharing the gospel with the people of Jerusalem. They were beaten and ordered not to talk about Jesus anymore. But they didn’t stop talking about Jesus. And they didn’t become discouraged. Instead, “they left the presence of the council, rejoicing that they were counted worthy to suffer dishonor for the name [i.e., the name of Jesus]” (v. 41). If you’re rejoicing about something, you’re thankful for it. Why were the apostles thankful for suffering dishonour for the name of Jesus? The apostles had suffered “dishonor” (i.e., disgrace, shame). Since the apostles had been beaten (v. 40), the public would have seen them as criminals (i.e., they suffered shame). Why were the apostles thankful for this? The apostles weren’t thankful merely because they were suffering. They were thankful because they were suffering for Jesus. Jesus was the one who had told them, “You will be my witnesses” (Acts 1:8). The apostles were willing—even thankful!—to endure shame for Jesus because he had done the same for them. Hebrews 12:2 says that Jesus “endured the cross, despising the shame.” When we think of crucifixion, usually the first thing that comes to mind is the pain of crucifixion. The word “excruciating” means “a pain like the pain of crucifixion.” Crucifixion was literally torture. But crucifixion was also dreaded because of its shame. “To die by crucifixion was to plumb the lowest depths of disgrace; it was a punishment reserved for those who were deemed most unfit to live” (F. F. Bruce, The Epistle to the Hebrews, 338). Crucifixion was carried out in a public place. While Jesus hung on the cross, he was naked for all to see. And he was mercilessly mocked by his enemies. 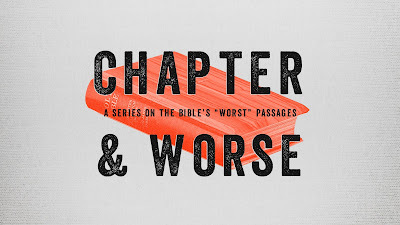 Jesus “endured the cross, despising the shame.” What does “despising the shame” mean? The Greek word that has been translated “despising” (kataphroneo) means “to look down on.” When a person looks down on someone, they are thinking that the person is of little value. When Jesus “despised” the shame of the cross, it was as if he was saying, “Shame, you are nothing to me.” How could he say that? And day by day, attending the temple together and breaking bread in their homes, they received their food with glad and generous hearts, praising God and having favor with all the people (vv. 46-47). You’ve probably heard the saying “Your reputation precedes you.” It can be used in both a positive or negative way. If good things have been heard about a person, their good reputation precedes them. But if bad things have been heard about a person, their bad reputation precedes them. If a realtor has a good reputation, you’ll probably listen to her advice on selling your house. If a car salesman has a bad reputation, you’ll probably ignore his sales pitch. And a Christian’s reputation will affect people’s receptiveness to the gospel. The church in Jerusalem (whom we might call the first Christians) was “devoted” to four things: “the apostles’ teaching,” “the fellowship,” “the breaking of bread,” and “the prayers” (v. 42). The church’s devotion to “ the fellowship” included spending time together and sharing: “All who believed were together and had all things in common. And they were selling their possessions and belongings and distributing the proceeds to all, as any had need” (vv. 44-45). This church was a sharing church. They shared their time (“together,” vv. 44, 46), food “breaking bread,” v. 46), and money (“selling their possessions and belongings,” v. 45). Why were they willing to share? They had “glad and generous hearts” (v. 46). And why did they have hearts that lead them to share? Their hearts had been changed by the gospel. The gospel wasn’t something these people merely believed with their minds. Their sharing was not a duty; it was a delight. “God loves a cheerful giver” (2 Cor. 9:7). We will give gladly and generously when we are thankful for God’s “inexpressible gift” (2 Cor. 9:15). The church’s reputation of being a sharing caused them to gain “favor with all the people” (v. 47). “The people” refers to people outside the church (i.e., nonbelievers). They saw that the church didn’t just talk about loving others; they actually did it. Jesus had said, “Just as I have loved you, you also are to love one another. By this all people will know that you are my disciples, if you have love for one another” (John 13:34-35). Are people going to listen to us if we have a reputation for lacking love for others? People aren’t going to listen to someone whose life doesn’t match his words (like a marriage counselor who’s been unfaithful to his wife). Everybody hates hypocrisy. There is a connection between the sincerity of our love inside the church and the effectiveness of our witness outside the church. Luke writes that “the Lord added to their number day by day those who were being saved” (v. 47). What’s your reputation? Your reputation precedes you. Don’t be a hindrance to people accepting the gospel. Live in such a way that you make the gospel attractive to people. Darrell L. Bock, Acts, 155. “You will receive power when the Holy Spirit has come upon you, and you will be my witnesses in Jerusalem and in all Judea and Samaria, and to the end of the earth” (1:8). Last week Hurricane Maria struck Puerto Rico. The island is completely without electrical power. And it won't be a matter of days until power is restored but months. We get annoyed when we lose power for just a few hours. Imagine months! Obviously we can live without electrical power. People did it for thousands of years. But life is much easier when we do have power--hot water, light at the flick of a switch, and so on. Before Jesus ascended into heaven, he told the apostles that they would “receive power” (1:8) to live as he wanted them to live. Was this power only available for the apostles? No, it’s also available to us today. It might be possible to be a Christian and lack this power (just like it's possible to live without electrical power), but we can't live as God wants us to live without it. What is this power and how do we get it? Jesus instructs the apostles to “wait for the promise of the Father” (1:4). He tells them that John the Baptist had “baptized with water” but that they will be “baptized with the Holy Spirit” in a few days (1:5). The Holy Spirit will “come upon [them]” and they will “receive power” (1:8). The fulfillment of the promise of the Father occurs in chapter 2. The apostles (and the other believers with them in Jerusalem) are “all filled with the Holy Spirit” (2:4). And the Holy Spirit gives them the power “to speak in other tongues [i.e., languages]” (2:4). What do they speak about? The gospel. “Men of Israel, hear these words: Jesus of Nazareth, a man attested to you by God with mighty works and wonders and signs that God did in your midst, as you yourselves know—this Jesus, delivered up according to the definite plan and foreknowledge of God, you crucified and killed by the hands of lawless men. God raised him up, loosing the pangs of death, because it was not possible for him to be held by it” (2:22-24). “This Jesus God raised up, and of that we are all witnesses. Being therefore exalted at the right hand of God, and having received from the Father the promise of the Holy Spirit, he has poured out this that you yourselves are seeing and hearing” (2:32-33). Peter concludes by saying, “Let all the house of Israel therefore know for certain that God has made him both Lord and Christ, this Jesus whom you crucified” (2:36). Is this the same man who only a few days earlier had denied knowing Jesus? What caused the dramatic change in Peter’s life? Two things: (1) he had seen the risen Jesus (who had forgiven him); (2) he was empowered by the Holy Spirit. There’s lots of confusion about the Holy Spirit. Many people think that the Holy Spirit is merely a force, not a person. But the Bible refers to the Spirit as a “he,” not an “it.” He’s the third person of the Trinity. And there are different views among Christians on the gifts of the Holy Spirit (also known as spiritual gifts). A spiritual gift is an ability given by the Holy Spirit for service. The two basic views about spiritual gifts are cessationism and continuationism. Cessationists believe that some of the spiritual gifts are no longer in operation today (e.g., the gift of tongues). Continuationists believe that all of the spiritual gifts are still in operation today. What was the main purpose of the Holy Spirit’s activity in Acts 2? And what is the main purpose of the Holy Spirit’s activity in our lives today? During the Last Supper, Jesus declared, “[The Holy Spirit] will glorify me” (John 16:14). We glorify Jesus by what we say and what we do. When the apostles were filled with the Holy Spirit, they talked about Jesus. And they also lived like Jesus. “The fruit of the Spirit is love” (Gal. 5:22). When we are filled with the Holy Spirit’s power, we will act like Jesus and talk about Jesus. How Do We Get the Spirit's Power? Ephesians 5:18 says, “Be filled with the Spirit.” We receive the Holy Spirit at conversion, but we are not always filled with the Holy Spirit’s power. And we don’t have a gauge that tells us if we are filled with the Spirit or not. How do we get this power? There is not “secret” to being filled with the Spirit. (Just like there really isn’t a secret to losing weight or getting out of debt). We must daily surrender ourselves to God’s will and ask him for the power to do it. Is it possible to be a Christian and lack this power? Yes, but is that what you want? Are you content with being a middle-of-the-road Christian? “You will receive power when the Holy Spirit has come upon you, and you will be my witnesses in Jerusalem and in all Judea and Samaria, and to the end of the earth” (v. 8). Up until the last few years, when you heard the word “viral” you probably thought of a viral infection (e.g., the common cold). But now when you hear the word “viral” you might think instead of a viral video. A viral video is a video that quickly gets millions of views by people sharing it with others on the Internet. 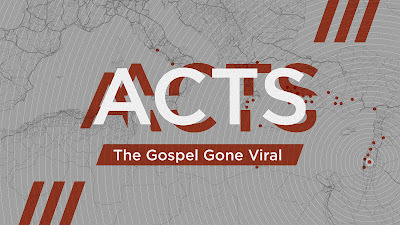 In the beginning of the book of Acts, only a handful of people are aware of the gospel. But at the end of the book, thousands of people have heard and believed the gospel. 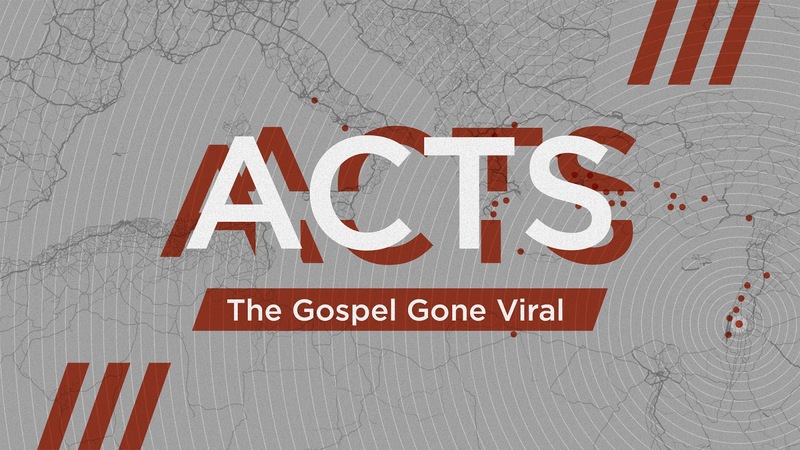 The gospel went viral. How? By people simply sharing it with others. The Acts of the Apostles is a sequel to the Gospel of Luke. Luke states that in his “first book” (i.e., the Gospel of Luke) he wrote about what “Jesus began to do and teach” (v. 1). Now in the book of Acts Luke will tell us about what Jesus continued to do and teach through the apostles. Luke writes that during the time between the resurrection and ascension of Jesus, Jesus “presented himself alive to [the apostles]…by many proofs” (v. 3). The apostles were convinced that the gospel was true. Jesus had died for their sins and had risen from the grave! All who put their trust in Jesus will be saved! Jesus says to the apostles, “You will be my witnesses” (v. 8; cf. Isa. 49:6). A witness is someone who tells others what he/she has seen. The apostles were witnesses in a unique sense. Unlike us, they had seen Jesus before and after his death and resurrection. “This Jesus God raised up, and of that we are all witnesses” (2:32). “You killed the Author of Life, whom God raised from the dead. To this we are witnesses” (3:15). “We cannot but speak of what we have seen and heard” (4:20). “God raised [Jesus] on the third day and made him to appear, not to all the people but to us who had been chosen by God as witnesses, who ate and drank with him after he rose from the dead” (10:40-41). Does this mean that v. 8 doesn’t apply to us today? No, all who receive the testimony of the apostles all become witnesses. We haven’t seen the risen Jesus, but we have seen what the gospel has done in our own lives. Many of us have probably heard the saying, “Preach the gospel. Use words if necessary.” But the truth is that people need to hear (or read) words in order to be saved. Justin Taylor has said, “The Good News can no more be communicated by deeds than can the nightly news.” That’s not to say that how we live is unimportant. It’s incredibly important. (And we’ll see this as we go through Acts.) But the fact remains that being a witness requires a person to use words. Jesus tells the apostles that they are to be witnesses “in Jerusalem and in all Judea and Samaria, and to the end of the earth” (v. 8). Verse 8 could be used as a table of contents for the books of Acts. It begins with a few witnesses in Jerusalem, and by the end of the book the gospel is taken all the way to Rome. And it eventually reached us! Wherever we are and whomever we’re with, we should look for opportunities to share the gospel. But not every moment should be considered an opportunity to share the gospel. Ecclesiastes 3:7 says that there is “a time to keep silence, and a time to speak.” There is a time to speak up and share the gospel, and there is a time to keep silent and pray. We need boldness, but we also need wisdom. “As [the apostles] were looking on, [Jesus] was lifted up, and a cloud took him out of their sight” (v. 9). “While they were gazing into heaven” (v. 10), two angels two angels said to the apostles, “This Jesus, who was taken up from you into heaven, will come in the same way as you saw him go into heaven” (v. 11). Earlier the apostles had wanted to know when the kingdom of God would come to earth: “Lord, will you at this time restore the kingdom to Israel?” (v. 6). But Jesus told them that this wasn’t for them to know: “It is not for you to know times or seasons that the Father has fixed by his own authority” (v. 7). Too many Christians spend more time speculating about when Jesus might return than thinking about how they might share the gospel with a friend. We are living in the time between two great events: the ascension and the second coming. Jesus went up to heaven, and one day he’ll return. In the meantime, we have are to his witnesses. We are to share with others what God has done for us—and what he can do for anyone—through the death and resurrection of Jesus. Even though I walk through the valley of the shadow of death, I will fear no evil, for you are with me (v. 4). 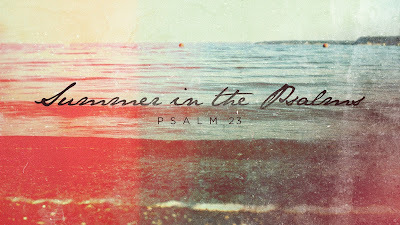 Psalm 23 is the best-known psalm in the book of Psalms. The psalm begins, “The LORD is my shepherd” (v. 1). God is our shepherd, and we are his sheep. One of the jobs of a shepherd is to lead his sheep. God always leads his sheep in the right direction. But sometimes the path he leads us on is difficult. God’s sheep “shall not want” (v. 1). Our shepherd “makes [us] lie down in green pastures. He leads [us] beside still waters” (v. 2). In his letter to the Philippians, the apostle Paul writes, “My God will supply every need of yours according to his riches in glory in Christ Jesus” (Phil. 4:19). So we are never in need, right? Not exactly. Earlier Paul wrote, “In any and every circumstance, I have learned the secret of facing plenty and hunger, abundance and need” (Phil. 4:12). Paul says that there were times when he was in need. Does this contradict Philippians 4:19 and Psalm 23:1? No, sometimes we need to be in need. But, as Paul says, “[We] can do all things [i.e., face any circumstance] through him who strengthens [us]” (Phil. 4:13). We won’t get everything we want, but we will never lack what God knows is good for us. Sometimes we stray from our shepherd, and we find ourselves on a wrong path. The path is difficult because of our own sinfulness or foolishness. God “leads [us] in paths of righteousness” (v. 3). “Paths of righteousness” are right paths. God leads us to both “green pastures” (v. 2) and “the valley of the shadow of death” (v. 4). Both the green pastures and the dark valley are right paths. The right paths are not always easy paths, but on every path our shepherd is with us. We might question God’s love for us when we we’re on a difficult path, but we must remember that Jesus walked a difficult path that lead him to the cross. He said, “I am the good shepherd. The good shepherd lays down his life for the sheep” (John 10:11). Jesus was not like the hired hand who “sees the wolf coming and leaves the sheep and flees” (John 10:12). Jesus was willing to give his life to save his sheep. The hired hand “flees because he is a hired hand and cares nothing for the sheep” (John 10:13). But Jesus, the good shepherd, loves his sheep. We can trust a shepherd whom we know loves us—even on the difficult paths. Proverbs 18:14 says, “A man’s spirit will endure sickness, but a crushed spirit who can bear?” Even in good times people can have a crushed spirit. How can we possibly have a comforted soul as we’re walking through “the valley of the shadow of death”? The presence of God comforts our souls. “Surely goodness and mercy [steadfast love] shall follow me all the days of my life, and I shall dwell in the house of the LORD forever” (v. 6). Jesus, the good shepherd, says, “I came that [my sheep] may have life and have it abundantly” (John 10:10). Into you hand I commit my spirit; you have redeemed me, O Lord, faithful God (v. 5). 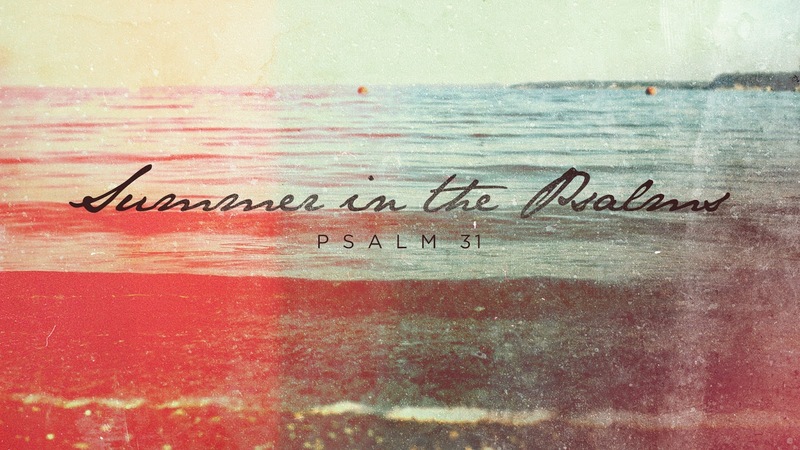 Psalm 31 was written by David. It’s a psalm of an innocent sufferer. The Gospel of Luke tells us that just before Jesus died, he cried out, “Father, into your hands I commit my spirit” (Luke 23:46). These same words were written by David in Psalm 31. As you read Psalm 31, think to yourself about why Jesus—while he was suffering and dying—identified with David’s struggles in this psalm. David writes, “I hear the whispering of many—terror on every side!—as they scheme together against me, as they plot to take my life” (v. 13). David had enemies who wanted to take his life. People were believing all sorts of lies about him. He wants vindication, and he’s trusting God to eventually bring about that vindication. He says, “Into your hand I commit my spirit” (v. 5). In verse 15, he makes a similar statement: “My times are in your hands.” He doesn’t believe that God will give him a life free from trouble and injustice. But he believes that in the end all wrongs will be made right. His enemies will be dealt with, and the truth will be known. Evil will not have the last word. Jesus was the ultimate innocent sufferer. Three times in Luke 23, Pilate declared that Jesus was not guilty of any crime: (1) “I find no guilt in this man” (v. 4); (2) “Nothing deserving death has been done by him” (v. 15); (3) “I have found in him no guilt deserving death” (v. 22). After Jesus died, the centurion said, “Certainly this man was innocent!” (v. 47). Jesus never committed a single crime, yet he was executed. On top of that, as he was dying on the cross, he was mocked and humiliated. Psalm 31 begins with David requesting, “Let me never be put to shame” (v. 1). Jesus was put to shame on the cross. And think of the true identity of the one who was dying on that cross! “In the Hebrew context of Psalm 31, shame is not so much a feeling (although feelings must have been involved) as it is an outward, visible circumstance of public disgrace.”  While suffering on the cross, Jesus’ enemies mocked him: “He saved others; let him save himself” (Luke 23:35). The apostle Peter writes, “When [Jesus] was reviled, he did not revile in return; when he suffered, he did not threaten, but continued entrusting himself to him who judges justly” (1 Peter 2:23). Jesus was an innocent sufferer who had the power to destroy his enemies. Yet he “did not revile in return”; he “did not threaten.” He knew that in the end all wrongs would be made right. There is also much in this psalm that Jesus could not identify with—especially verse 8: “You have not delivered me into the hand of the enemy” (v. 8). David was delivered, but Jesus was executed. The life of Jesus seemed to have a tragic ending. Was it a mistake for Jesus to put his trust in his Father? No! We know how the story really ends. “For the joy set before him he endured the cross” (Hebrews 12:2, NIV). There would be a happy ending! As Jesus died, we should live. We should commit our lives to God. We should say, as Jesus did, “Father, into your hands I commit my life.” This means to trust in God no matter what happens. Jesus didn’t stop trusting during his intense suffering on the cross. We must not stop trusting God when life gets difficult. Why should I commit my life to God? First, I should commit my life to God because he loves me. Some people might ask, “What does God know about unjust suffering?” He knows a lot about it. God the Son became a man and suffered unjustly. “God shows his love for us in that while we were still sinners, Christ died for us” (Rom. 5:8). Why did he die for us? To save us from the punishment that we deserved because of our sins. Second, I should commit my life to God because in the end it will be worth it. “One entrusts one’s spirit to God not merely in light of life’s imminent end but also in light of the conviction that life will continue.”  This life is not all there is. When we stand before Jesus one day, no sacrifice will be regretted. Psalm 31 has a happy ending: “Love the LORD, all you his saints! The LORD preserves the faithful.... Be strong, and let your heart take courage, all you who wait for the LORD!” (vv. 23-24). There is a happy ending to all who say, “Father, into your hands I commit my life.” Today, Jesus does not regret His decision to endure the suffering of the cross. And if you put your trust in Him, you will not regret that decision when you stand before him in heaven. There will be a happy ending. Have you said, “Father, into your hands I commit my spirit”? Gerald H. Wilson, Psalms: Volume 1, 541. John Goldingay, Psalms: Volume 1, 450. Why are you cast down, O my soul, and why are you in turmoil within me? Hope in God; for I shall again praise him, my salvation and my God (v. 11). Are You Feeling Cast Down? The book of Psalms is a book of poems that were meant to be sung. “Poetry and singing exist because God made us with emotions, not just thoughts.”  Sometimes we feel like the writer of Psalm 42 who twice says that he feels “cast down” (vv. 5, 11). He is “downcast” (NIV), “discouraged” (NLT), “in despair” (NASB). We might even say that he’s depressed. Are you feeling cast down today? What should we do when we feel discouraged? Psalm 42 was written by the Sons of Korah. The Sons of Korah were temple singers: “…the Korahites, stood up to praise the Lord, the God of Israel, with a very loud voice” (2 Chron. 20:19). The psalmist is far away from Jerusalem (“I remember you from the land of Jordan and of Hermon, from Mount Mizar,” v. 6), and he longs to be back at the temple where he is most able to feel God’s presence: “When shall I come and appear before God [see the face of God]?” (v. 2b). He remembers how he “would go with the throng and lead them in procession to the house of God with glad shouts and songs of praise” (v. 4). He says, “My tears have been my food day and night [i.e., continually]” (v. 3). He hears the taunting of his enemies: “Where is your God?” (vv. 3, 10). He feels abandoned by God. “Why have you forgotten me?” (v. 9). The psalmist also feels overwhelmed: “Deep calls to deep at the roar of your waterfalls; all your breakers and your waves have gone over me” (v. 7). Maybe you feel like the psalmist—overwhelmed and abandoned by God. You say to God, “Where are you?” You don’t feel God’s presence in your life like you once did. What should we do when we feel discouraged? We should talk to ourselves like the psalmist did: “Why are you cast down, O my soul, and why are you in turmoil within me? Hope in God.” Martyn Lloyd-Jones writes, “Have you realized that most of your unhappiness in life is due to the fact that you are listening to yourself instead of talking to yourself?”  What should we tell ourselves when we feel discouraged? We should tell ourselves to remember that God loves us with a steadfast love. Verse 8 says, “By day the LORD commands his steadfast love [hesed], and at night his song is with me, a prayer to the God of my life” (v. 8). Psalms 42-83 are known as the “Elohistic Psalter” because in these psalms God is usually referred to as Elohim, whereas the other psalms normally call God Yahweh. But in Psalm 42, when the psalmist mentions God’s “steadfast love,” he refers to God as Yahweh (“LORD”). “It is as if the two belong together; Yahweh and hesed cannot be separated.”  In the midst of all of his troubles, the psalmist remembers God’s steadfast love, and he begins to sing. Remembering God’s steadfast soul can lift up a soul that is cast down and in turmoil. We can remember three truths about God’s steadfast love. First, because of God’s steadfast love, Jesus died for us. Jesus chose to die for us, but it wasn’t an easy thing for him to do. Before his arrest, he said, “My soul is very sorrowful [overwhelmed with sorrow, NIV], even to death” (Matt. 26:38; cf. John 12:27). On the cross he cried out, “My God, my God, why have you forsaken me?” (Matt. 27:46). Jesus endured feeling overwhelmed and abandoned by the Father in order to die for our sins on the cross. Second, because of God’s steadfast love, there is salvation. The psalmist calls God “my salvation” (vv. 5, 11). The psalmist lived on the other side of the cross. When we refer to God as “our salvation,” we normally mean that he has provided deliverance from the punishment that we were due because of our sins. God’s love is seen in the cost of our salvation: Jesus’ life (John 3:16). Third, because of God’s steadfast love, there is hope. We won’t be disappointed if we put our hope in God. Hope is “a patient but expectant waiting for God to act. Tell yourself that your day of praise will certainly come, though in God’s time, not yours.”  “So we do not lose heart. Though our outer self is wasting away, our inner self is being renewed day by day” (2 Cor. 4:16). Our hope causes our soul (“our inner self”) to be lifted up rather than cast down. “We look not to the things that are seen but to the things that are unseen. For the things that are seen are transient, but the things that are unseen are eternal” (2 Cor. 4:18). John Piper, “Spiritual Depression in the Psalms” (sermon). One interpretation is that the psalmist is not actually far away from the temple but is expressing how he feels (i.e., far away from God). Gerald H. Wilson, Psalms Volume 1, 671. Sadly, most Christians don’t long for God’s presence like the Psalmist does. We long more for the absence of problems than the presence of God. D. Martyn Lloyd-Jones, Spiritual Depression, 20-21. Wilson, 673. Michael Wilcock, The Message of Psalms 1-72, 157.